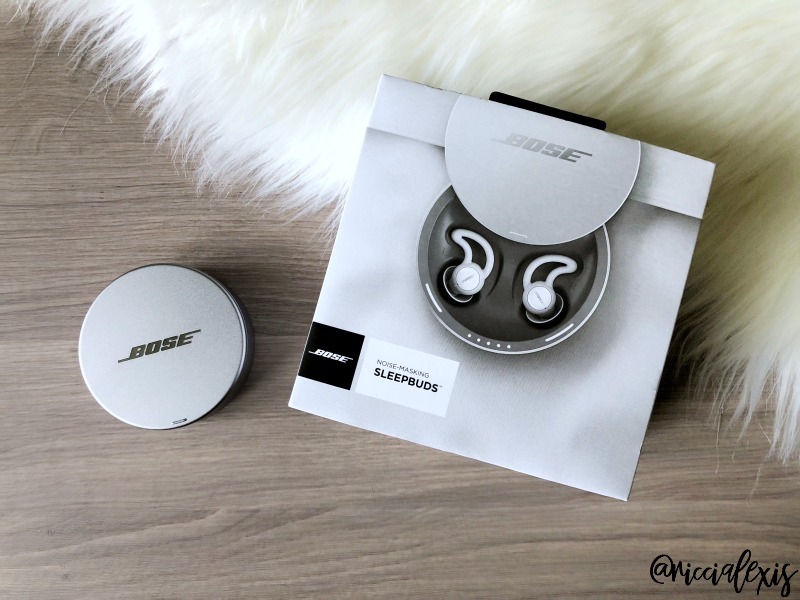 First things first…if at any time during this post if you want you want more info on purchasing your own pair of the Bose® noise-masking sleepbuds™ you can always come back to this pic (and the same pic at the bottom of the post), hover over it and grab a pair of your own!! As many of you know by now my full time job is as a Respiratory Therapist in a super busy Neonatal ICU. I love my job and wouldn’t change a thing about it. I have worked at the same hospital since I graduated from Respiratory school 10 years ago and have worked both days (six years) and nights (four years) so I am pretty well versed on both. I am currently working nights and I think it’s my favorite shift, there’s just something about the night shift that the days shift just lacks for me. I love the environment, the people, the things I get to see and do and really just the overall vibe of night shift. However there is one downside…sleeping during the day. I came back to nights about a year and a half ago after being on days for six years and for whatever reason it is so hard to get back into the swing of sleeping during the day!! I have tried everything I can think of…”blackout” curtains (I say “blackout” because I have tried several brands of blackout curtains and none truly block all the light out), foil on my bedroom window to block the light (on the inside of the window and my neighbors can’t tell because of the blinds, HA), sleep masks, earplugs and even sleep aids but nothing seems to help for long. I think the sleep mask worked the best but I kept pulling it off when I would sleep really deep so that didn’t help much! The earplugs worked to block sound but then I was scared I wouldn’t hear my alarm and so I was waking up every hour thinking I had overslept (worst sleep ever). And of course the sleep aids I was taking helped but then I really dislike taking unnecessary medications and didn’t want to grow tolerant of them so I quit. Ugh. And did I forget to mention that I moved into an apartment a couple of months ago after I sold my house?? Hello noisy neighbors! UGH!! To put it mildly, getting good sleep has been somewhat of a challenge lately and my under eye concealer and eye cream usage has gone up tremendously! Luckily for me, I was at my local Best Buy the other day when I stumbled across these Bose® noise-masking sleepbuds™. I was immediately intrigued since my sleep has been so awful these past couple of months that I was willing to try anything to get a full night’s day’s rest so you know I snagged those bad boys and ran to the checkout! 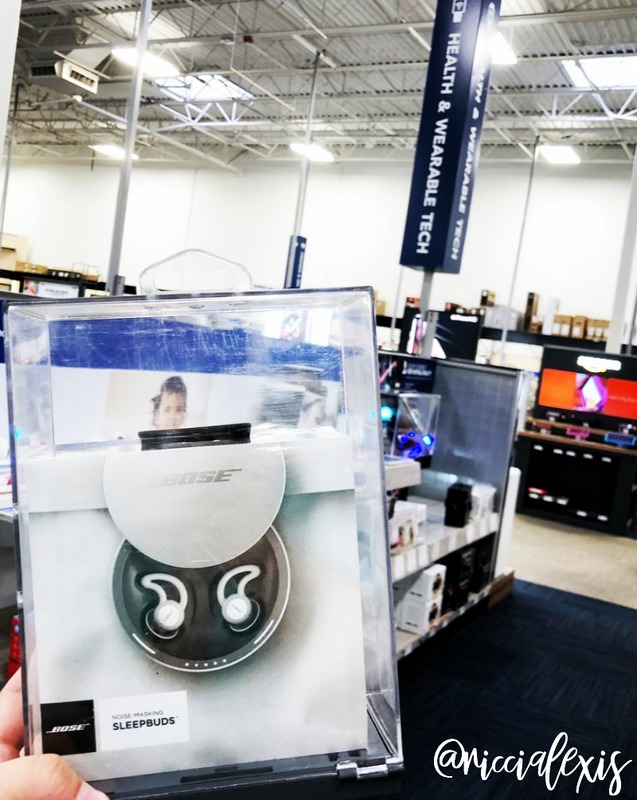 Just a little FYI, at my local Best Buy the Bose® noise-masking sleepbuds™ were located on the end of the aisle with the baby monitors and baby food makers. 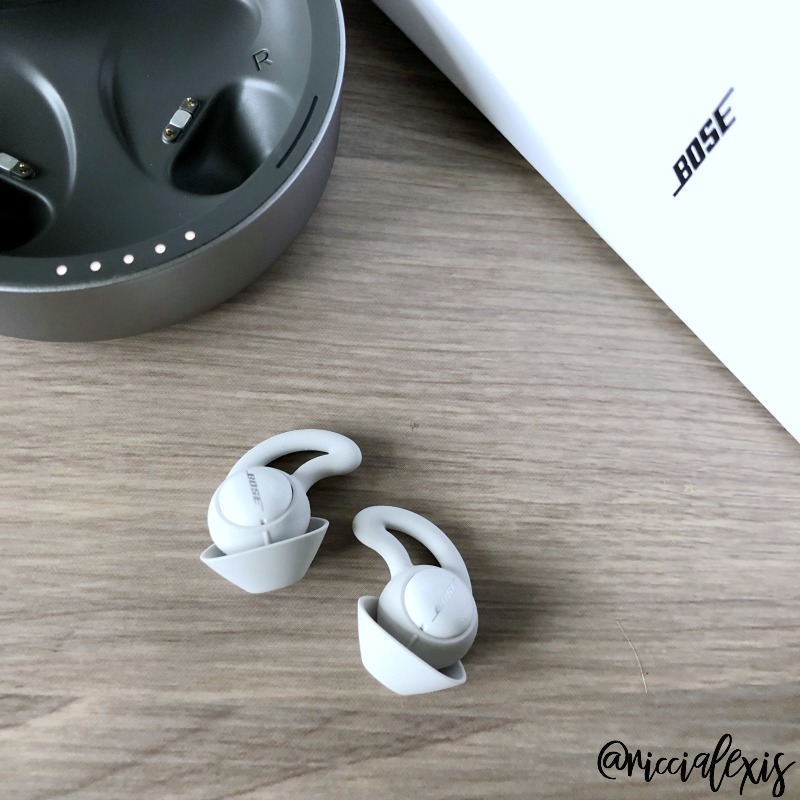 Back to my story…so what exactly are Bose® noise-masking sleepbuds™?? Good question!! Bose® noise-masking sleepbuds™block out noise by delivering soothing sounds that cover up unwanted nighttime noises and help you fall asleep and stay asleep. They are super soft/flexible and come with three different sleep tip sizes so you can be sure to get an optimum fit for your ears. I am a side sleeper and have had zero issues with the falling out, being uncomfortable. They come with a rechargeable case and the silver-zinc micro batteries in the sleepbuds™ provide up to 16 hours of use off one charge. They also come with a travel bag to put your charging case and the charging cord (in case your charging case needs charging) in while you travel so you never have to be without them because trust me, once you start using your Bose® noise-masking sleepbuds™ you won’t want to sleep without them! Setup was super simple (after you figure out what size sleep tips to use and how to put the dang things in, HA!! 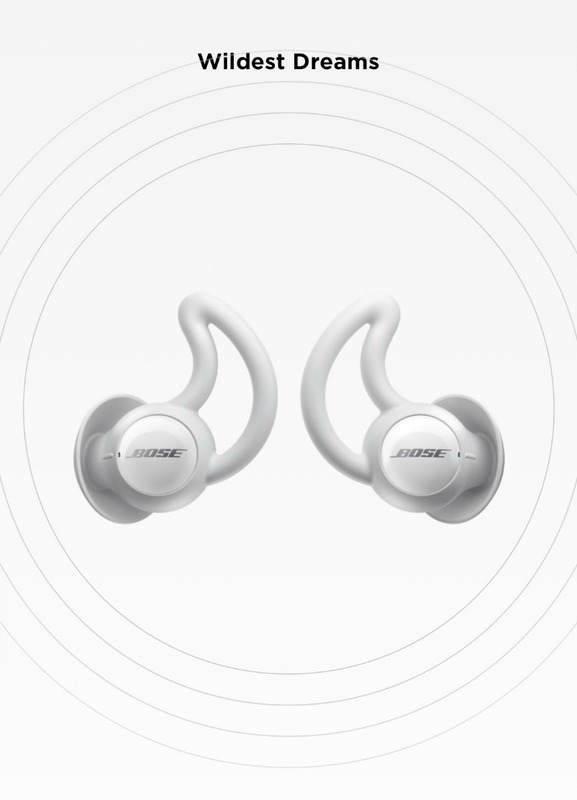 ), all you have to do is download the Bose Sleep App and connect your Bose® noise-masking sleepbuds™ via bluetooth. Within the app the first thing you have to do is name your sleepbuds™ and I chose for the app to “surprise me” and got the name Wildest Dreams. I do have some pretty wild dreams so I kept it! HA! 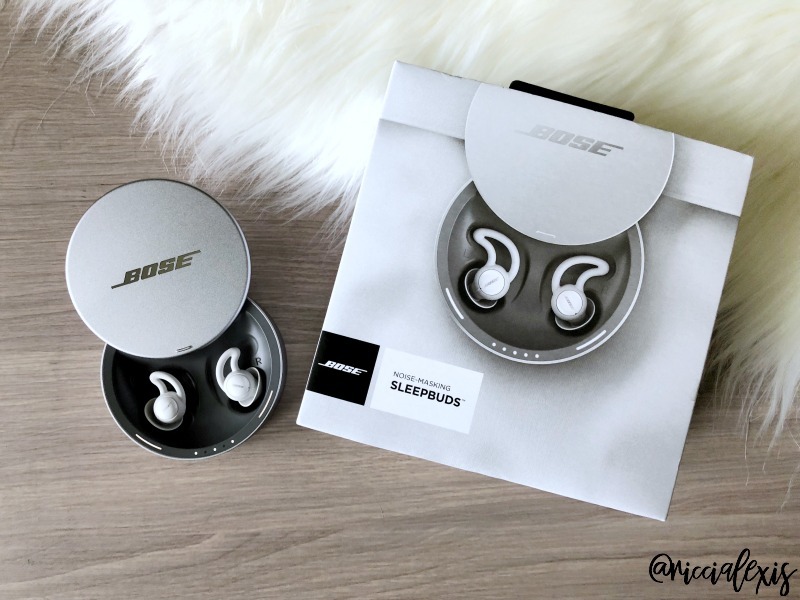 Once the Bose® noise-masking sleepbuds™ are synced you can choose which sound you want to sleep to (I went with Campfire the first day), set the volume you want the sound to be at, set an alarm and go to sleep! It’s as easy as that. Now I have to admit that I was worried about the whole “setting an alarm” and then going to sleep. Would I hear it?? Would it wake me up?? So I set a backup alarm on my phone and off to dreamland I went. The campfire sounds were super soothing and put me out quick and I slept a solid SEVEN hours before the alarm on my sleepbuds™woke me up. So yes, they do wake you up and yes, the extra alarm clock on my phone was super annoying. Lesson learned and now I only use the alarm on the sleepbuds™. Do I love my Bose® noise-masking sleepbuds™?? YES! Would I recommend them to people who have trouble sleeping because of a snoring bed partner, sleep during the day, etc?? YES!!! Has my bedtime routine changed since I started wearing my sleepbuds™?? A little. I still do my whole nighttime skincare routine and hop into bed and read a little but I don’t read for very long because I’m no longer reading to make myself tired, I am reading because I want to and I know I can use my sleepbuds™ to help me both fall asleep and stay asleep!! PS- if you want to grab a pair for yourself or just get more info on the product click the image below!!!! So if you are having sleep issues and have tried everything you know to try then I highly suggest swinging by your local Best Buy and checking out these Bose® noise-masking sleepbuds™ because if they can help my pitiful sleep deprived self then they can help you too!! To get more info on the Bose® noise-masking sleepbuds™ check out the Best Buy website here! You can also follow them on Facebook, Twitter, Instagram and Youtube! Do you have trouble falling asleep and staying asleep?? Have you tried the Bose® noise-masking sleepbuds™?? A friend of mine does third shift and I think something like this would really help her sleep. It can be hard to sleep when everyone else is awake. This would be perfect! OK now these sound really interesting, I wonder if my other half would get on with them. He often needs a snooze during the day and I’m not the quietest person when up and about and our bedroom is adjacent to the living room. I sleep with a fan on every night because I need to block out all those other noises. These buds sound like they were made for me. The way my husband snores I need these so we could sleep in the same room. But also for my husband so he could block out the TV as I stay up later than him and sleep in the Living Room so the TV doesn’t keep him awake. I need at least 8 – 9 hours of sleep, when I am stress it hard to attain that number. What I do is I always used my oil diffuser and play some mediation music till I fell as sleep. It helps me relax and sleep peacefully. I would want to try this ear piece from Boise. I heard a lot of good reviews on this . This is exactly what I need. My husband snores from time to time and once I wake up, it’s hard for me to fall back to sleep. We’ve been using Bose headphones for years, for me they’re the best. I’m definitely checking out that Bose® noise-masking sleepbuds, for sure it will be awesome. I tend to sleep well in general but I know so many who need to block out the noises of the city. I will suggest these to my friends and children. These sound so useful. I sometimes struggle with getting high quality sleep at night. THese earbuds would be perfect for me! Bose is such a wonderful brand. I can’t wait to look into getting these. They look perfect to use anytime of the day. My sister is changing to a night shift. I may have to invest in these for her. She will need her sleep. I just started getting into podcasts and thought how I should treat myself to new earphones. I have always loved everything that Bose makes so I’ll have to check this pair out! Oh this is a great relief to those who are under graveyard shifts. My friend is a nurse and she has some sleeping problems especially when she is on that shift. They really work well to block out noise and keep me asleep!! Those look like an awesome product. I could really use them. This might really help with those days when I have trouble sleeping. 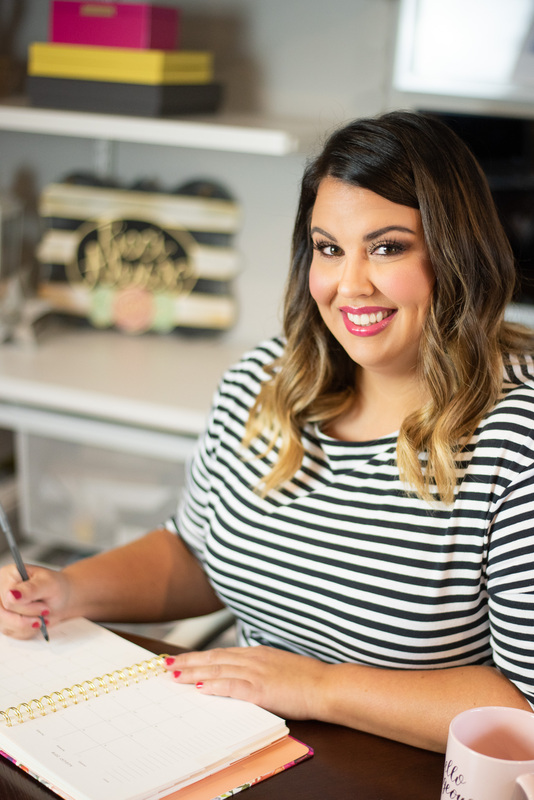 Bose products are always chic. Those noise masking sleepbuds sound cool and surely useful. These sound amazing! I like white noise when I sleep, especially in hotels. IT would be so worth it if you traveled for work. This brand is without a doubt amazing and I love that it helps you sleep better at night. I think wireless earphones are the best way to go, they’re so easy to take with you and you don’t have to worry about damaging the wires!